Jeff Goldblum has revealed that he'd be into doing a sequel to The Fly if David Cronenberg were back to direct. The actor even admitted to having a few ideas for the aforementioned movie, which is pretty exciting. The Fly is one of Goldblum's most memorable early performances and is an adaptation of the short story by George Langelaan of the same name that had previously been adapted to the screen in the late 1950s. Cronenberg amplified the horror element and made it into an 80s classic. In a new interview promoting Jurassic World 2, Jeff Goldblum was asked about the possibility of a sequel to The Fly, which came out in 1986 and scared the hell out of kids back then and is probably doing the same today. Goldblum's Seth Brundle didn't survive the end of the movie, but the actor has some ideas about how he could come back. More importantly, Goldblum reveals that he would love to work with David Cronenberg again. He had this to say. "I don't think my character would be involved because of course I got tragically mutated with the fly and then the machine, oh boy. But maybe I show up as a grandchild of the original Seth Brundle, or Seth Brundle had a brother. Had a brother that emerges in some ways! Who knows, I don't know but David Cronenberg was a thrill to work with. Boy, if he was involved I'd like to work with him again, I'll tell you that." A sequel to The Fly came out in 1989, but it did not have any involvement from Jeff Goldblum or David Cronenberg and was universally panned by fans and critics. However, Cronenberg attempted to reboot The Fly years later. The sequel never came into fruition because of budget issues, according to the director who addressed the situation in 2012. Since then, many have wondered what David Cronenberg's new version of The Fly would have been like. 20th Century Fox is reportedly working on their own reboot of The Fly without David Cronenberg and Jeff Goldblum, which seems like a pretty big gamble. Goldblum won't come back on board unless Cronenberg is attached and that is not likely to happen at this point in time. Maybe a deal could be placed to get the involvement of the actor and director to work on the project, but as for now, it's not going to happen. Maybe Goldblum's comments will drum up some interest in a reboot of The Fly. Reboot of The Fly or not, Jeff Goldblum is keeping pretty busy with Jurassic World 2 and his appearance as the Grandmaster in the Marvel Cinematic Universe. The actor revealed that Grandmaster survived the events of Infinity War and is alive and well, so hopefully we'll see him turn up in a future MCU project. The actor will be seen on the big screen next week when Jurassic World 2 opens. The original interview with Jeff Goldblum comes to us courtesy of Bloody Disgusting. 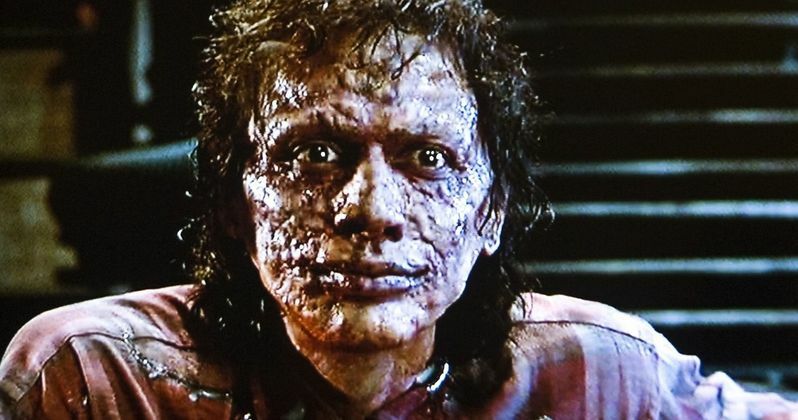 Will The Fly Remake Still Happen After Disney / Fox Deal Is Done?